Sending positive vibrations to you all, I hope you’re having a brilliant week. After a conversation with a friend I really thought about the power we don’t realise we have. Many times we are in situations or circumstances and find we have come to a dead end. We don’t believe in ourselves any more or we feel like we can’t change the hand we’ve been dealt. The funny thing is, that is the exact opposite. We allow people to treat us badly, we want to lose weight but are unsure how to take the first step, we want to give up smoking but don’t believe in ourselves to the extent we think we can achieve it. I, myself have been at a point where I was coasting through life mulling over the bad things that were happening to me, not realising the more I thought about it and moaned about it, the more I was attracting negativity to myself. On Monday I decided to join in an aerobics class at my gym with a friend, I have been avoiding certain classes for some time due to my whiplash and back injury. I didn’t think I was fit enough and couldn’t keep up. Well I told myself I need a challenge. I can DO IT. If I feel that I need to stop, then I will, which I did, I paced myself, paused when needed and modified the moves to accommodate my back. When I finished I felt AMAZING!!! 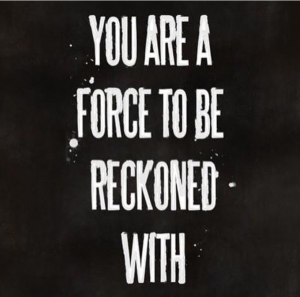 So re-energised and proud of myself. I DID IT! The things we tell ourselves internally are some of the most important words, they affect our mindset, mood and behaviour. As hard as it may be to stop the constant negative chattering (our minds/thoughts), you CAN turn your thoughts around. WE ARE SO POWERFUL! If you think about your brain and the way it works, neurons communicating with each other constantly… so if you’re constantly thinking “Ahh my life is so rubbish, I can’t believe this is happened to me” “I’d love to go swimming but I think my legs are so fat”, “Why does he treat me like an idiot, I’m such a fool”, “There is no way I can complete a marathon even though I love running” all you’re communicating to yourself is negative things. I’m telling you, things will just continue on the same path, believing in yourself is a powerful way artists, like myself, and sportsmen/women achieve greatness. After constant knocks, let downs and rejections we have to uplift ourselves to continue and I’ll let you into a little secret… They believe in themselves to the point of insanity. Look at Kanye West, as misunderstood as he is, he calls himself a GOD. Many people think it’s because he’s an arrogant fool but those who understand him, realise he believes in himself so much to the point that he feels that he must refer to himself as one of the greatest entities, something that should be worshipped. He feels like a God in his own world, someone to be respected. We should all believe in ourselves and love ourselves this much. Just imagine if we did, the greatness people would be achieving! Every time you notice yourself thinking a negative thought about yourself or what you can do. Automatically correct yourself, tell yourself no. You can do it. Compliment yourself instead of putting yourself down. Notice something you did well that day or achieved. Every time you think negatively repeat it and tell yourself something good. When you think about something that has gone wrong or find yourself worrying think to yourself “How can I change this situation around for the better?”, tell yourself that you WILL get past this and it is a temporary situation. Next week or next month you will laugh about it. Eventually you will start to block out your negative thoughts and realise your power. Many people ask me how I stay so positive, it’s because I know my power and refuse to let myself talk to myself negatively. 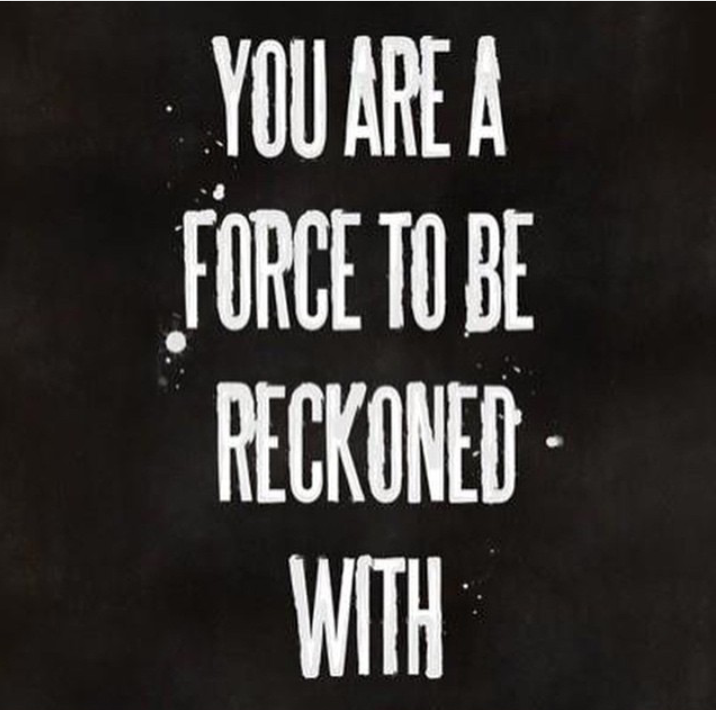 It isn’t easy and it does take time but remember YOU ARE A FORCE TO BE RECKONED WITH! Have a lovely day people. Love, peace and hairgrease!